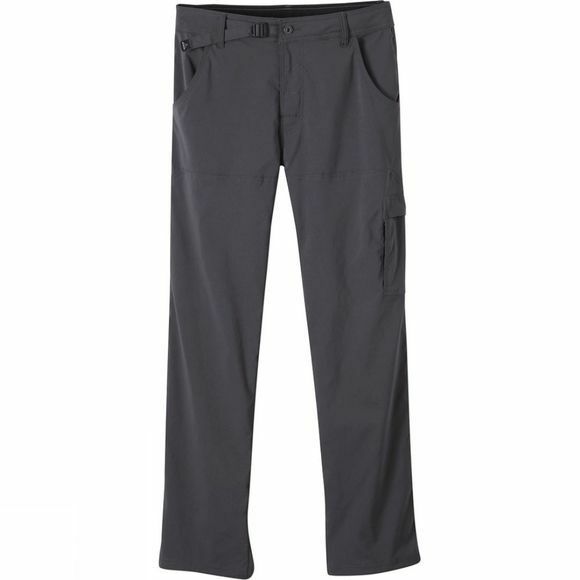 The PrAna Men's Stretch Zion Pants have understated everyday style to go with performance ability for weeks in the wilderness. Their stretch fabric is quick drying and resists water, abrasion, and wrinkles. Roll-up leg snaps, a cinch belt system, and a ventilated free-range gusset are ready for rock climbing.